If you only have a small product list, then we would recommend adding your products individually, using the simple interface. 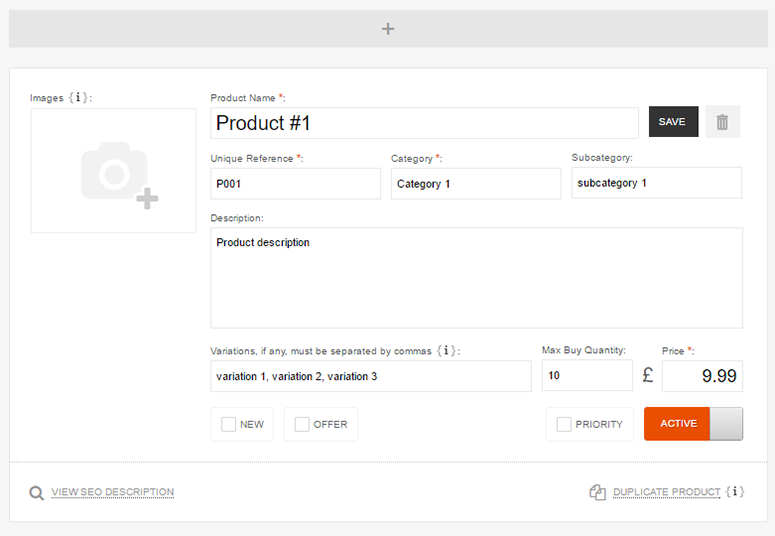 If you have a larger list, we would suggest that you add a few products individually - then export your list (as a .csv file), so that you can see the structure required. 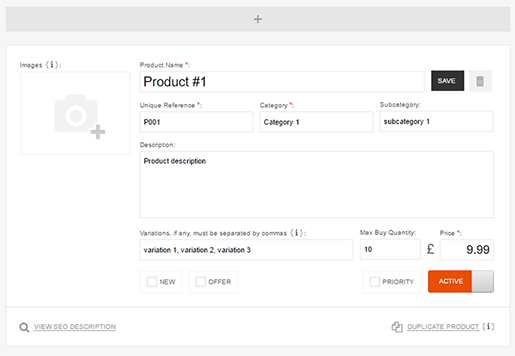 You can then manage your product list via a spreadsheet and import it, which will automatically create your shop for you. 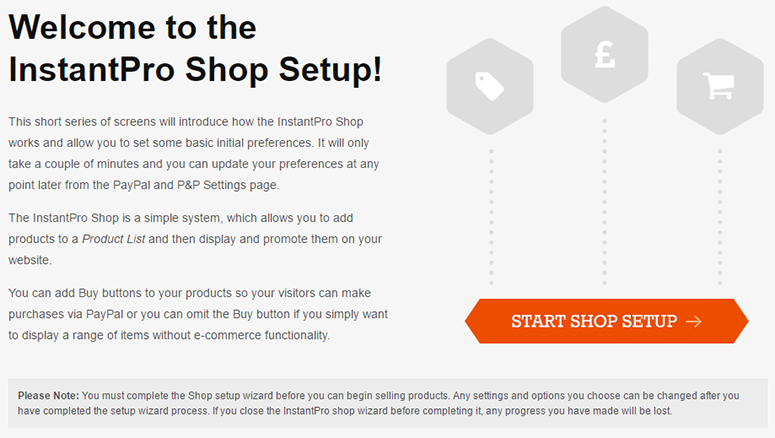 Step 4: The next step of the wizard, is where you choose whether to Add Products Individually or Import a Product List. For this guide select Add Products Individually. Step 1: You will now come to the Shop Product List, and you will see the product information form outlined in red. Compulsory fields are marked with an orange asterisk (*). Below is an example of a completed form and then a brief explanation of the fields and how they may affect your shop. Product Name: The name of your item, keep it concise so it's easy to search. Unique Reference: Your product must have a reference code, which must be between 3-20 characters (alphanumerical). If you don't already have a reference, you could add P01 for your first item, and so on. 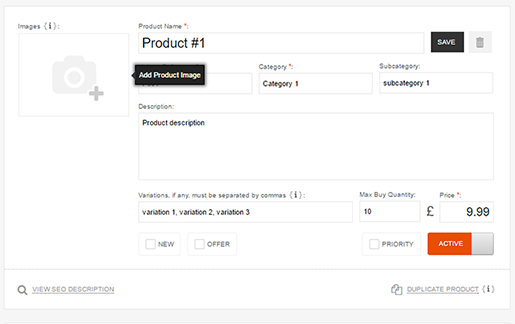 Category: Your products will be automatically split and sorted into pages by their categories. Subcategory: This is not compulsory - but does make searching for items easier for customers (for example you could split books into fiction & non-fiction). Variations: If there are variants of your product, such as colours or size, they can be listed here (only do this if the price is not affected). Max. Buy Quantity: If you have limited stock, or want to limit the purchase quantity per person, then enter this quantity here (visitors cannot see this). Price: You must enter the full purchase price here (inclusive of any VAT). 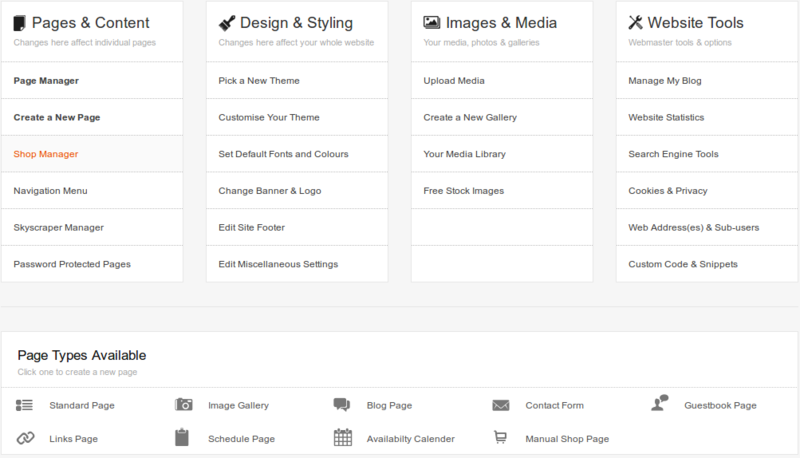 New: If you have an item you would like to appear on a dedicated "New" page, then check this box. 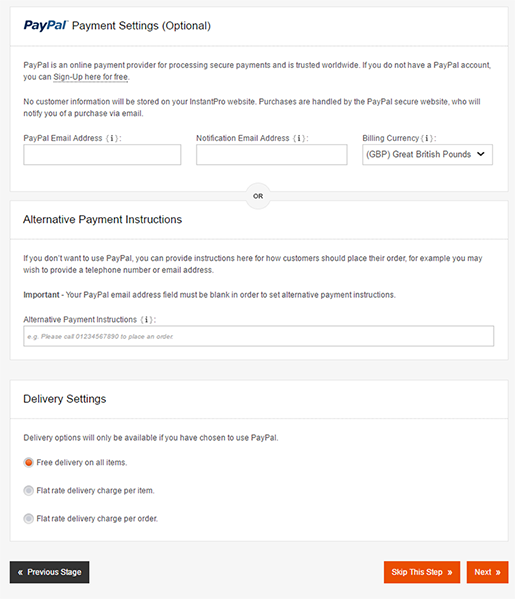 Offer: If there is an item on special offer and you would like to appear on a dedicated "Offers" page, then check this box. Priority: Checking this box ensures that the product appears at the top of your pages - it's a good idea to mark your best selling products as priority. Active: Click this to toggle your products from Active to Inactive. If your product is marked as Inactive, it will not appear on your site. 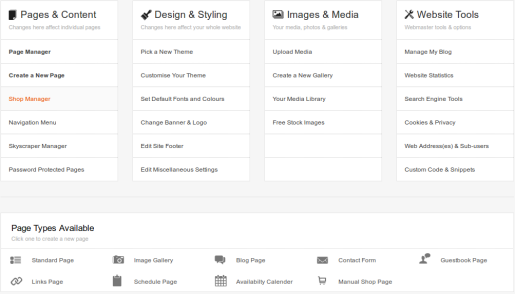 Step 2: To add an image, press the Add Product Image icon; you can select an existing image from your Media Library, or you can choose to Browse Computer to find & select an image. Step 3: Once you are happy with the information added press Save. To add another product, press the Add a Product button and repeat the process. After adding multiple products press the Save All button. 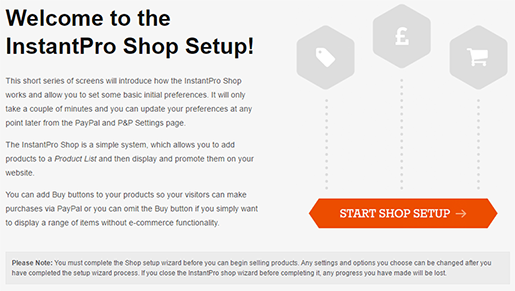 Step 4: Once you’re happy with all of the products that you have added, press the Finish button at the bottom of the page you will be taken to the Main Menu. You will now notice that the Create a Shop button will now be called the Shop Manager.